We from Live Chennai are happy to announce an app is being developed for the android users. Now you can get the news you need and an endless stream of news and prices you love summarized by Live Chennai. 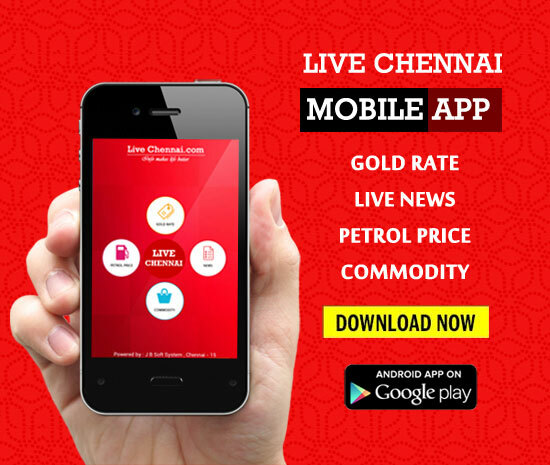 The Live Chennai App for Android brings you the latest news, gold and silver prices, petrol and diesel prices, chennai events and Commodity prices. Now you can download the Live Chennai App in Google Play Store. Here is the link Livechennai App.